It's Valentine's Day. It's a huge commercialized holiday that capitalizes on romance and tries to drum up money and sales on the idea of love. It's a wonderful time for anyone who's struck out all year on social dating apps and a terrible time for anyone who is bad at booking restaurant reservations ahead of time. You can show how much you care for your loved one by getting them some chocolates and flowers but, in all honesty, that's a bit played out. 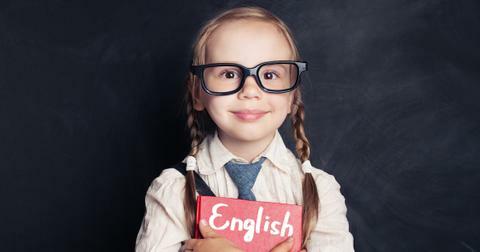 Why not think outside the box by opting for one of these wonderful little V-Day gestures instead? Like naming a cockroach after your ex. 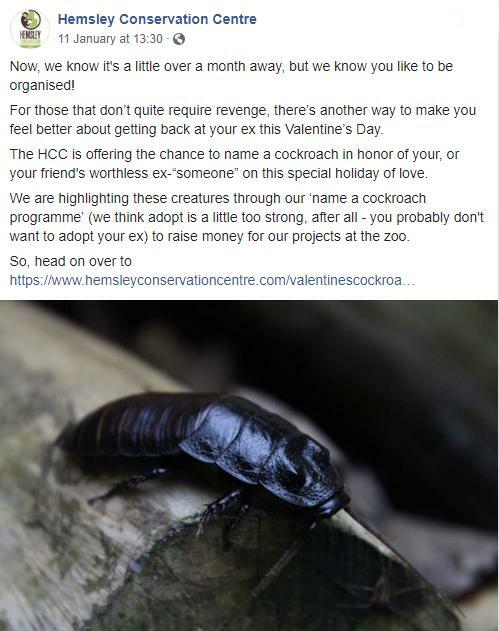 This gift, courtesy of The Hemsley Conservation Centre is great for that special someone in your life who has an affinity for the worst in insects that this planet has to offer. Or, an ex who deserves to have a disgusting bug named after them. Or maybe you're that ex and if that's the case, well, you should get a cockroach gifted to you so you can do something about your awful character. But yeah this is funny. The best part about this gift is that it's not only, erm, unconventional and petty, it's also light on the wallet and it's for a good cause. 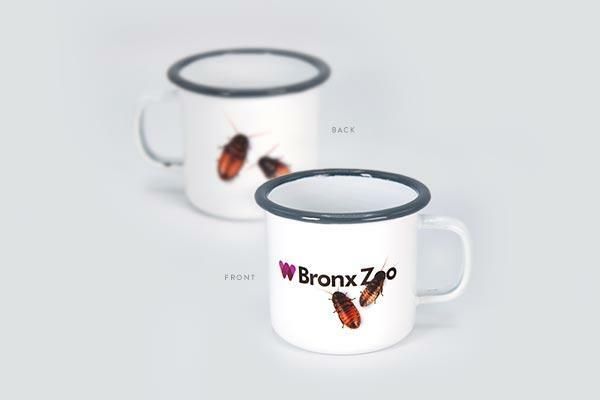 It only costs $2 to give a giant, disgusting bug the name of your choice, and all proceeds go to funding the zoo for different projects and animal conservation. They'll even send you a digital certificate you can print out and proudly hang on your wall. You know, if that kind of thing floats your boat. 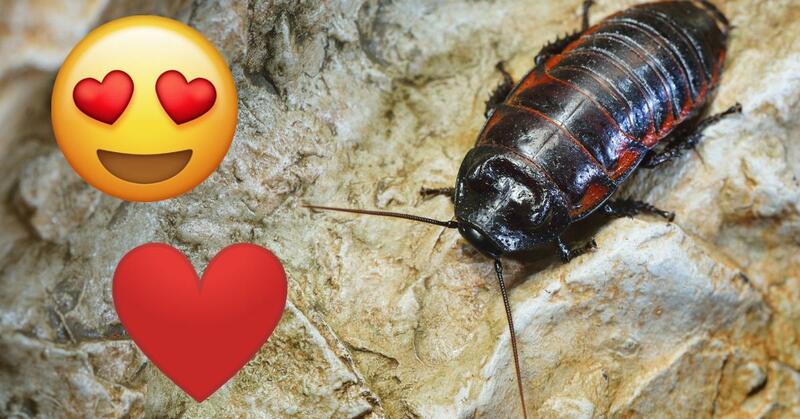 And as it turns out, there are other zoos all about that cockroach naming action, and some of them are even upping the ante. 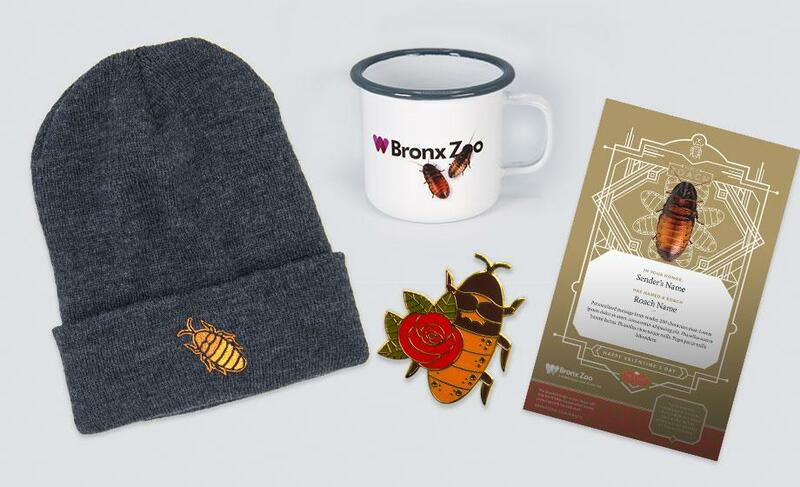 The Bronx Zoo will not only name a roach for you, but they've created a line of cool merchandise all around the V-Day revenge phenomenon. 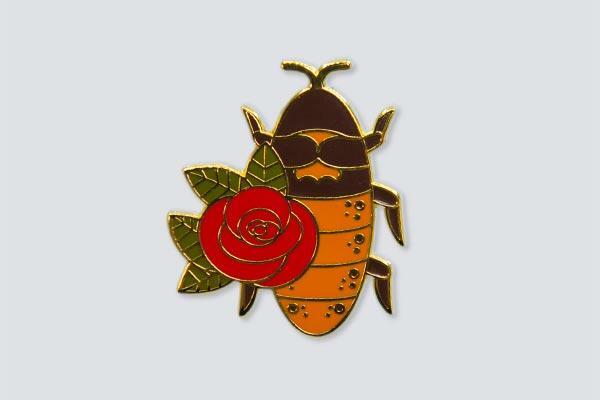 There's roach pins, mugs, and beanies, along with an official certificate. The total package will run you $75, which seems kinda steep for a gag, but they do look pretty cool. 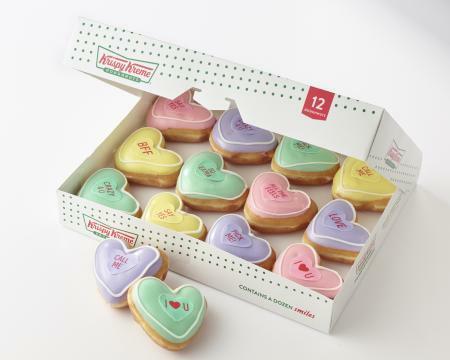 You could also give someone you actually like these Krispy Kreme donuts. These little conversation hearts take those chalky-flavored candies that are a staple for the holiday and transform them into something that you'd actually want to eat. They come in a few varieties: cake batter, strawberries and Kreme, raspberry-filled, and chocolate Kreme. They're also decorated with phrases like, "So Extra," "BFF," "Be Mine," "All the Feels," "DM Me," and "Love," to really bring it home. What's special about these donuts is that for the first time in 150 years, the iconic candies are not going to be available. The company that originally made them, Necco, filed for bankruptcy. Spangler candy ended up purchasing them, but because it takes about 11 months to stock enough shelves with the hearts in time for V-Day, Spangler's not able to fulfill them. There's also no word on if they're ever coming back, but it kind of seems like a no-brainer. You've got pretty much a guaranteed income source every Valentine's Day with that stuff. Flower bouquet pros: they look pretty, and smell nice to most people. Flower bouquet cons: they're inedible and may attract bees. Fried chicken bouquet pros: delicious fried chicken. 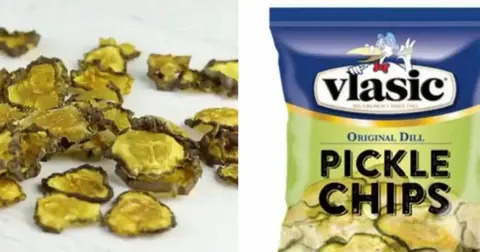 Most definitely edible. Arguably more beautiful sight than flowers. Fried chicken bouquet cons: none. 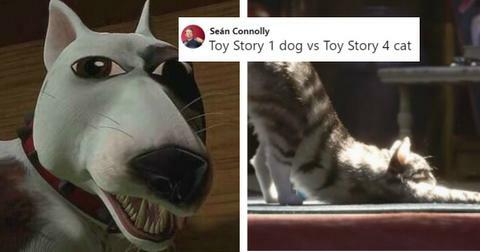 I think the winner's pretty clear. Sadly, this promotion was only offered in New Zealand when it debuted in 2017. 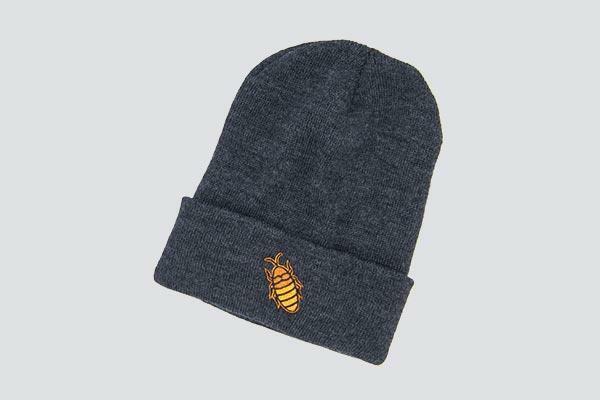 So the chances of you getting your hands on one now, officially, is slim. 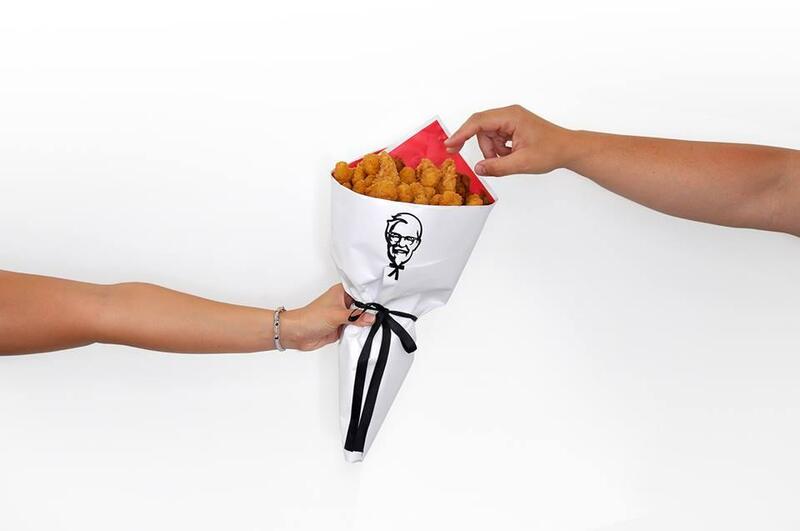 However, KFC is now selling 20 Nuggets for $10, so what's to stop you from putting them on some skewers and making a bouquet of your own? Absolutely nothing, that's what. This special bouquet is packed with V-Day themed donuts from Harry & David. Unlike Krispy Kreme, H&D actually puts their snacks in a bouquet, so they can present it to their loved ones properly. This extra special arrangement will cost you $49.99 — a lot more than you typical dozen. Sugar-induced comas aside, it is a pretty looking group of donuts, isn't it? 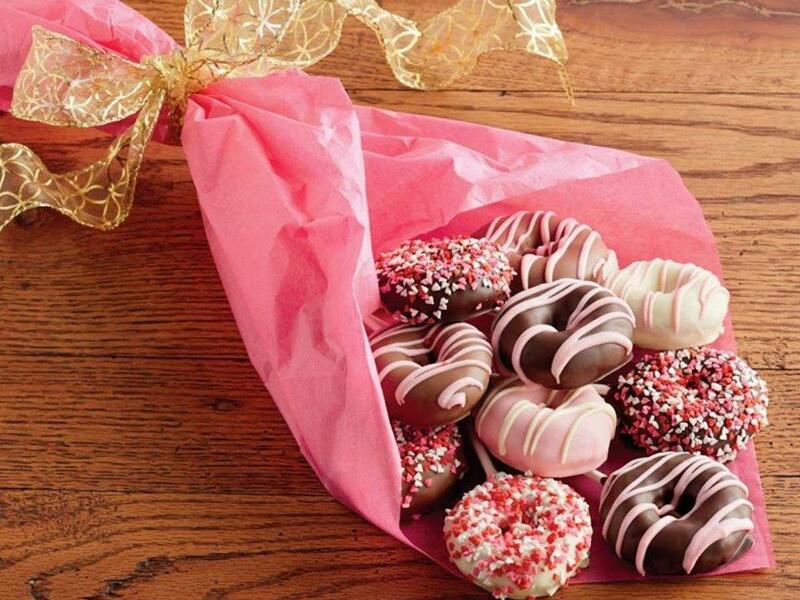 Kill two birds with one stone by getting your loved one a bunch of chocolates and a bouquet rolled into one. 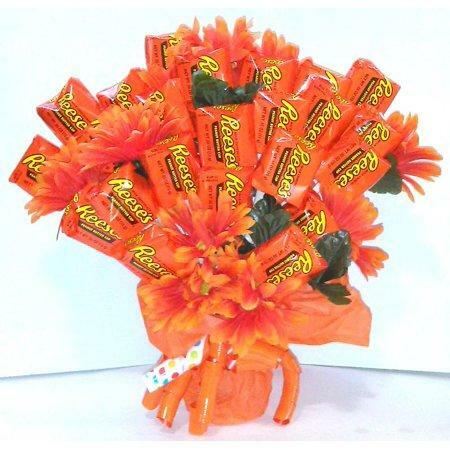 Wal-Mart's selling this arrangement that's made entirely out of Reese's cups, so if your S.O. is fond of chocolate and peanut butter, then you know exactly what to get them. So which one of these are you planning on getting your loved one? My vote: fried chicken nuggets. If only they came with some BBQ sauce flowers, though.